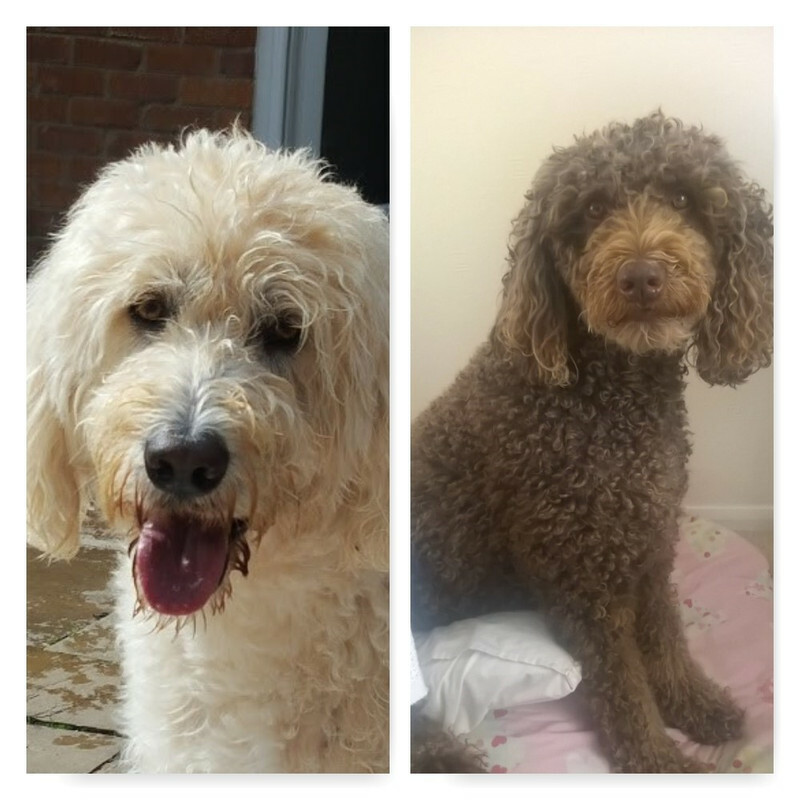 UK Labradoodle Association • View topic - New doodle owner!!! Post subject: New doodle owner!!! 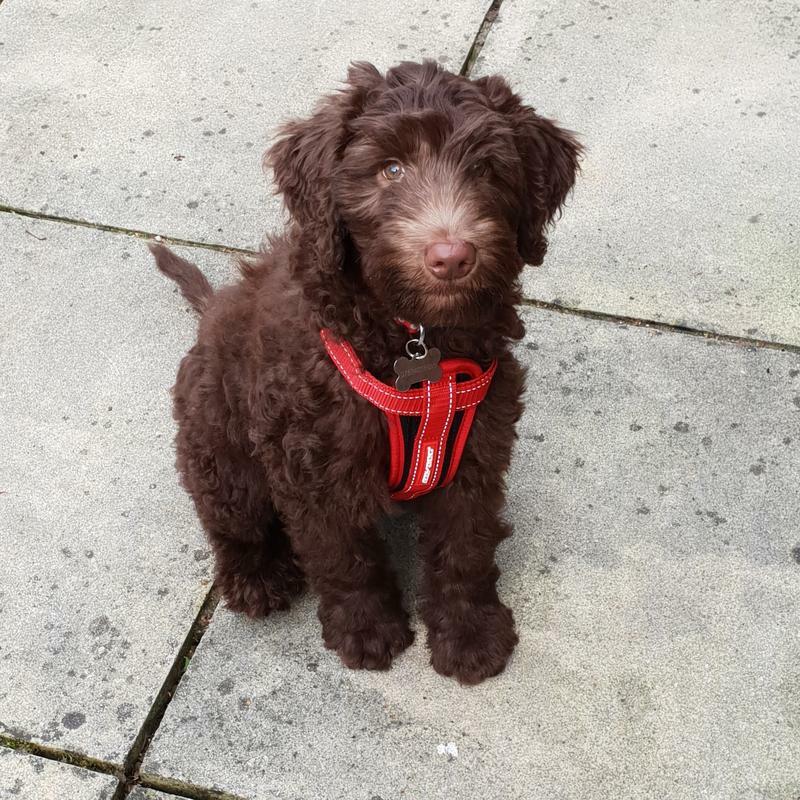 Hi all, new doodle owner ..had Diego 4 weeks..he's now 12 week bundle of fun!! Was anyone else neurotic!!! I'm sure I didn't worry this much with the kids!!!! Can anyone help end with rough timescales for growth spurts and what to expect!!!!! Post subject: Re: New doodle owner!!! Hi and welcome. Our Luna is 6 months now. 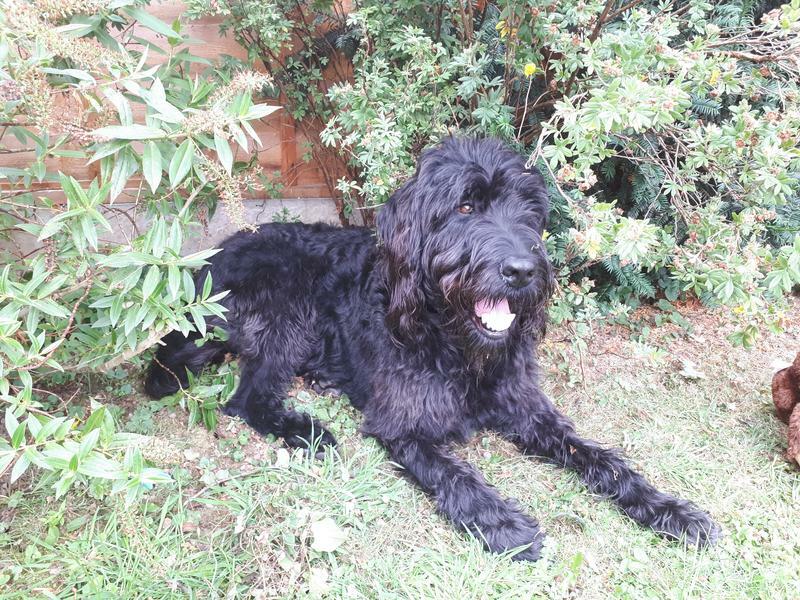 Her father was a standard poodle and Mum a labradoodle - so she is quite big! She was 3.4 kg at 9 weeks and now at 24 weeks is 19.5 kg. Her biggest growth spurt was between 3-5 months - it has now slowed a bit. You will have endless fun with Diego - Luna is a comical character - however they are invariably very mischievious and will keep you busy! Welcome to the crazy world of The Doodle !!! I can't remember growth sputs etc but make the most of the puppy days - they seem to fly by. With regards what to expect, like Forrest Gump said "like a box of chocolates you never know what you're gonna git". Gorgeous!!! !Diego is almost 8kg at 12 weeks..even the vet said he's going to be big!!! Both labradoodle parents...!!! He's just learnt to get upstairs!!! Doesn't luke me brushing him and has found a bark!! He's funny and crazy!!!! He's been fab doing both toilet outside but last 2 days he's been going out squatting..piddling a dribble then moving to another place doing same...he does big wees in between....and wants to be outside all the time!!!! Wondered if maybe he was scent marking?? I'd post a pic of him but not sure how!!!! Welcome Diego, I will try to find the link to how to put photos on here, its easy. 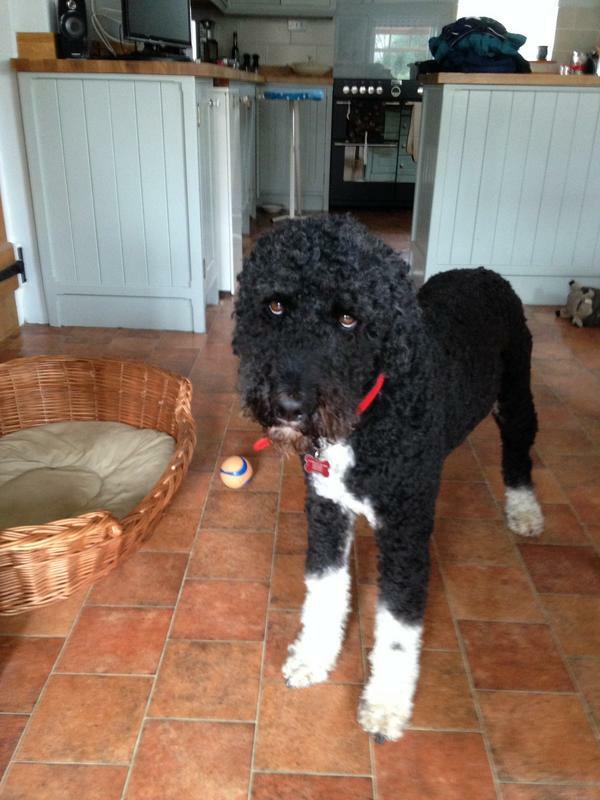 Harley is 36kg and a big doodle, everyone comments that they have never seen a doodle as big as him. Hello and welcome! Our Dude is 5years old. 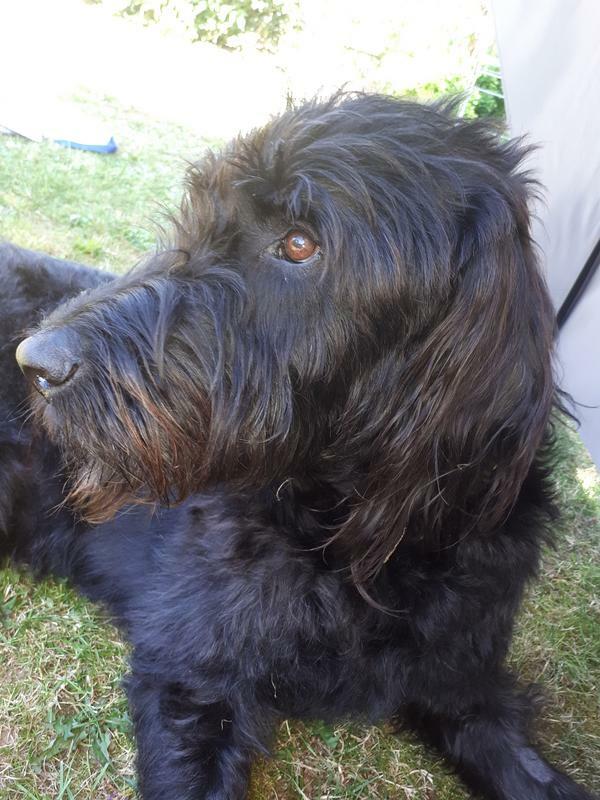 Both of his parents and both sets of grandparents are Labradoodles. I hunted out the vets weight chart and can tell you: at birth he was 420g At 12weeks he was 8kg. At 16 weeks he was 12.5kg. At 6 months he was20.95kg At 1 year he was 25.30 kg. And now he's 27.5kg. In this pic he's saying " ok , I've been a good boy at the groomers, now GIMME THE BUSCUITS!!" I don't suppose Diego was born in Manchester? If so I have his brother George with me. He's full of energy and such a character. Yes he is a Manchester boy .they're brothers!! !...awwwww how is George doing? Diego is a big boy!!! He's fun..mischievous and loveable!!! He's so good at night..goes in his crate and that's him till 06 ish!!!! It's hard work ..I worry more about him than the kids!!! He's great. Catches on so fast with things, let's us know when he needs to go outside and just have to tell him it's bed time and he goes in his crate until 6:30. He's been such hard work but he's come on so much in the past few weeks. He's really good on his lead now too. Can't remember life without him now! welcome George and Diego!....how lucky are you to find each other here! Looking forward to seeing a photo of Diego , and George certainly is "gorgeous George"
Lovely to see new pup's on the forum. Oh happy days to you Diego and George and a great big slurp of Prosecco and Valium to your mums. Holly went to sleep every night as a pup and woke up 2 sizes bigger in the morning!! So enjoy they grow sooo fast. They are really hard work at times but I have never known such a biddable loving humorous breed, plenty of entertainment needed, a bored doodle is going to find their own entertainment. Plenty of time out if over excited a lot like rearing children really most rules apply the same.